Our mission day in and day out is to offer great wardrobes at great prices. The deals below are just a selection of great offers. So if you like what you see here, then do pop into the showroom or call us on 01656 657526 for availability. This SPARKLE sliding door wardrobe comes with unique mirror with central crystal glass band with chrome vertical uprights. Very Smart Indeed!! Note: Shown in Grey for Illustration, Stock is White. Optional soft close mechanisms are £40 for a pair. This Imola sliding door robe is 201cm wide x 223cm high x 65cm deep. It is offered in attractive Sonoma Oak colour with 2 mirror doors as shown We deliver and assemble this FREE OF CHARGE in our area. We have limited stock left at £699 all in!! SUPERB OFFER!! Ring Sliding doors Wales on 01656 657526 to order or call into our showroom to view on Bridgend Industrial Estate CF313RX. First come, first served!! 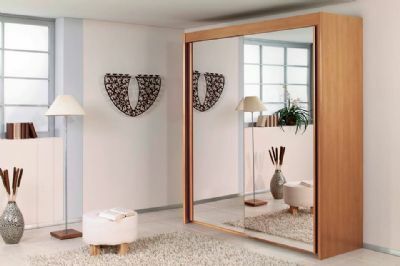 This super Austin Sliding door wardrobe is 226cm wide x 214cm high and comes with mirror/paneled doors. Offered in Sonoma oak with FREE DELIVERY & ASSEMBLY. (Delivery surcharges apply to certain areas) Was £799. Available to view in our showroom. Great value at this price. IN STOCK NOW!! Available in 3 widths with attractive two tone grey & silver mirrors. 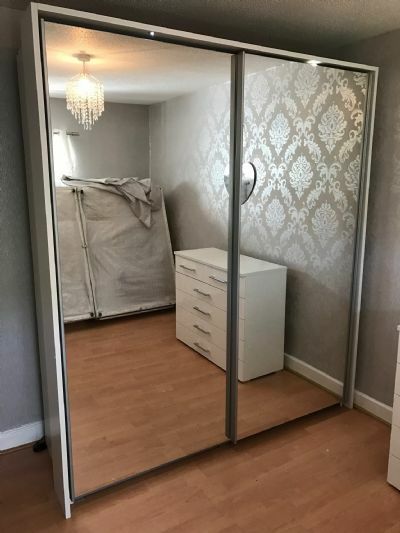 Comes with softclose doors. Sizes available 181cm, 226cm & 271cm wide. 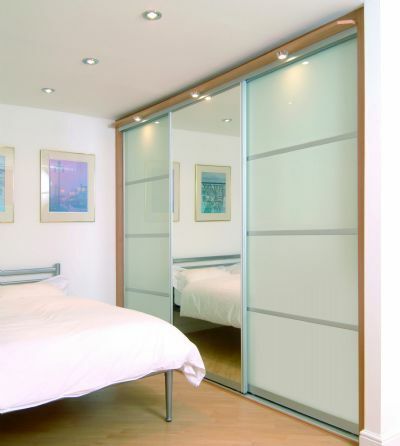 A fully fitted made to measure sliding door robe from only £1100! !